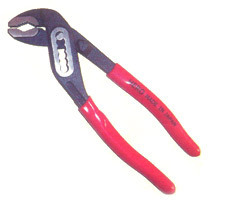 We are one of the leading names in the field of offering Water Pump Pliers. These feature precision construction standards and match up with the exact work application needs of the customers. The model range being offered includes HO-180 in lengths of 175mm (7") and HO-250 in lengths of 250mm (10").